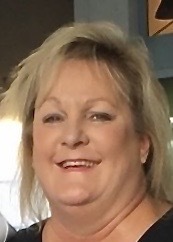 Sherri Denise (Tillery) Moulton of Washington, DC passed away Sunday, July 29, 2018 in Washington. Sherri was born on August 13, 1959 in Knoxville, TN. She married her high school sweetheart, Rear Admiral Terry Moulton, United States Navy, in 1982 and traveled the world serving our country in one of the hardest jobs in the military, a military spouse. Sherri was an incredibly compassionate woman who gave so much to so many in all of her family adventures. She was a proud mother of two wonderful sons and a grandmother of four beautiful grandchildren. She will be profoundly missed by all who had the honor of knowing her. Sherri is survived by her husband of 35 years, Rear Admiral Terry Moulton; son, Dustin Moulton; daughter-in-law, Shauna Moulton; grandchildren, Tasia Suggs, Ana Moulton, Wyatt Moulton, and Alexis Frith; mother, Mickey Tillery; sisters, Beverly Tate and Jennifer Ellison. She was preceded in death by her father, William Guy Tillery and son, Ryan Moulton. A Celebration of Life will be held Thursday, August 9, 2018, at 11:00 A.M., Hendersonville Funeral Home. Gathering of Family & Friends will be held Thursday from 10:00 A.M. until the service hour at Hendersonville Funeral Home. Interment will follow at Hendersonville Memory Gardens. In lieu of flowers, memorial contributions may be made to the Alzheimer’s Association or a charity of choice in Sherri’s name. We are very sorry you lost your wife. Tony graduated in 1973 at Greenbrier and i think you was after him. Sherri Graduated with Kenny’s wife, Merry Gale Meadows. We are so sorry for your loss. Sherri was a wonderful person, who brought happiness and laughter to so many people. She will always remain in our hearts. You and your family are in our thoughts and prayers. May God provide you comfort and peace, especially in this time of sorrow. Terry I’m so very sorry for your lose, Peggy and I will be praying for you and your son to get through this very difficult time. May the live of Christ lead you out of your pain..
Scott and I send our deepest sympathy to you on the loss of your Sherri. We hope you can find solace and peace in memories of happier days. We were saddened to hear of your loss. Please know that you are in our thoughts and prayers.